Ed Westwick plays Kent, a man whose good looks and charm hide his sinister desires. It's 1982, and Kent has just picked up a woman named Emily F. at a packed club on L.A.'s Sunset Strip. He calls a local radio station to request a song for her, and they're soon alone in his car in a deserted parking lot. As Kent's dedication to Emily F. comes on the radio (Foreigner's "Feels Like the First Time"), he pulls out a knife and strikes, stabbing her multiple times. When the police find her corpse, they make the grisly discovery that Emily F.'s killer is also a necrophiliac. But Kent's routine is interrupted when he picks up Betty (Erika Christensen), a woman who reveals she has children. He's intrigued, and instead of murdering her, he seduces her. While these two explore their disturbing connection, detectives are realizing that they're hunting a serial killer. And though Kent's new friend changes things for him, he's not done killing. Kent (Ed Westwick) and Betty (Erika Christensen) in the new drama series Wicked City, coming to ABC TUESDAYS 10|9c this Fall. Watch trailers for all of ABC's new dramas! 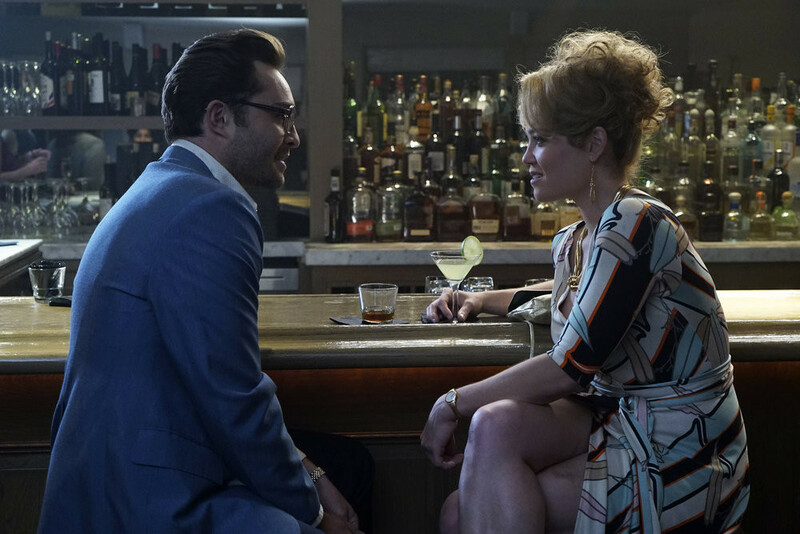 ABC's new series Wicked City stars Ed Westwick as Kent, Erika Christensen as Betty, Taissa Farmiga as Karen, Gabriel Luna as Paco, Karolina Wydra as Dianne, and Anne Winters as Vicki. Wicked City was written by Steven Baigelman. Executive producers are Steven Baigelman and Mandeville Television’s Todd Lieberman, David Hoberman and Laurie Zaks. Wicked City is produced by ABC Studios.